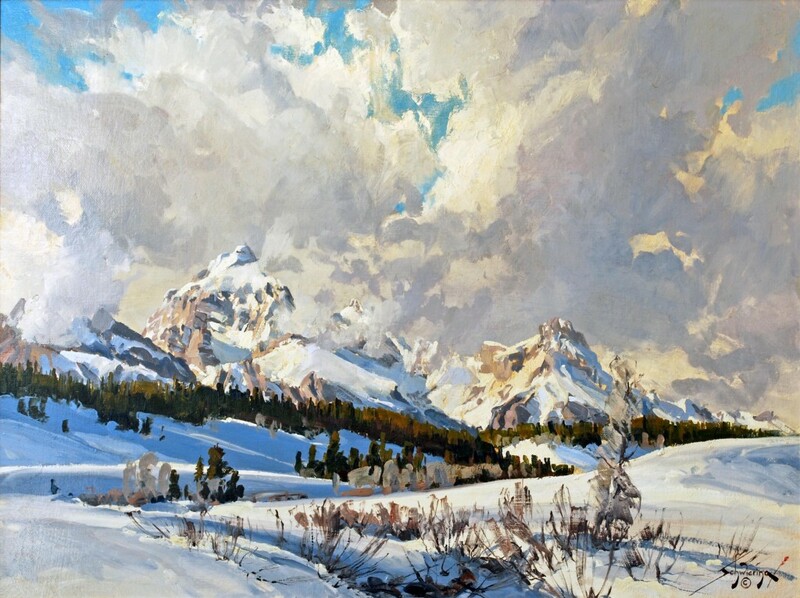 Wonderful oil on board by Conrad Schwiering depicting the Tetons in a volatile spring setting. 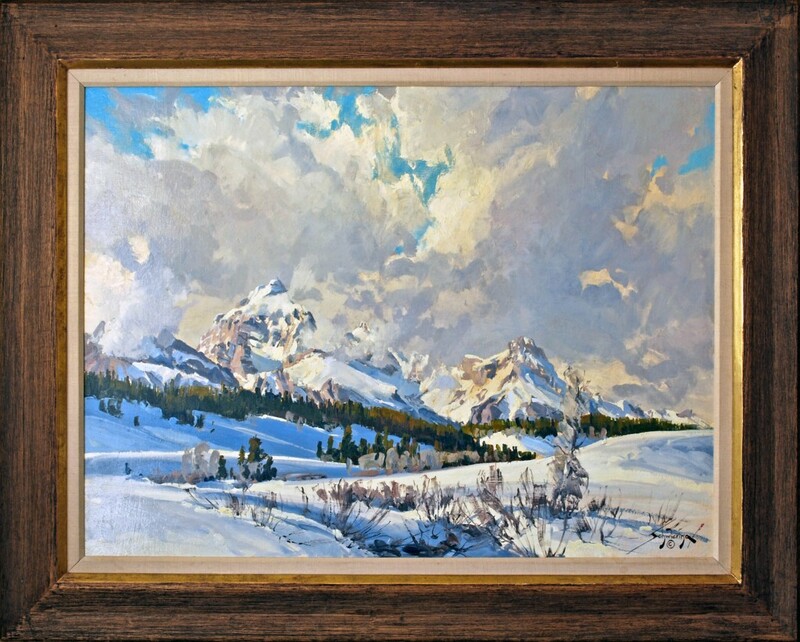 This large canvas was created for a Utah family and has been in the family until now. 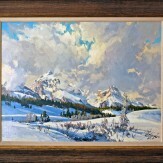 50.5" x 40.5" framed. 40" x 29.5" image size. Contact the gallery for shipping fees.